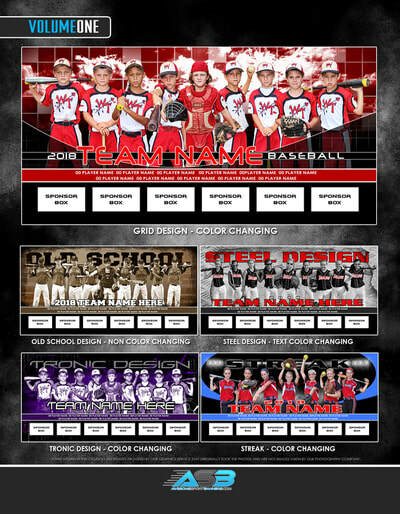 Typical Team banner size is 16 to 18 inches tall and ranges from 32 inches to 48 inches. Size is based on the number in the team on the picture. This one is meant for the wall. Custom prints are always available and can be printed on high quality papers that are suitable for mounting and framing. 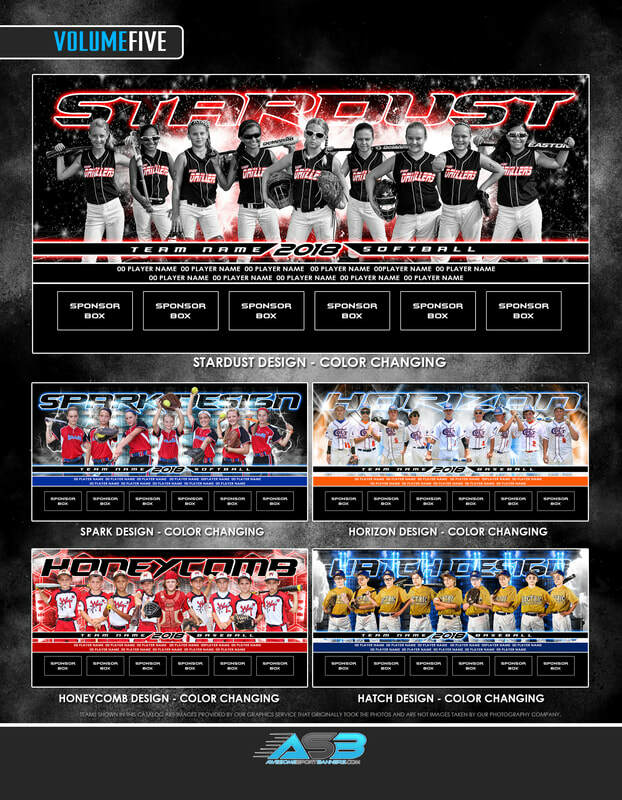 This type makes great gifts for the Athletic Director or other administrative staff. 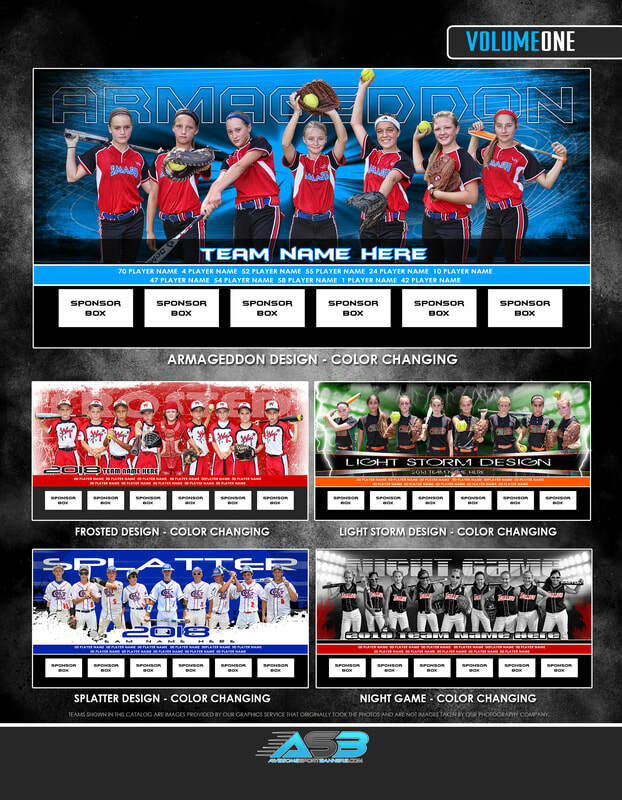 ​See schedule for size choices. 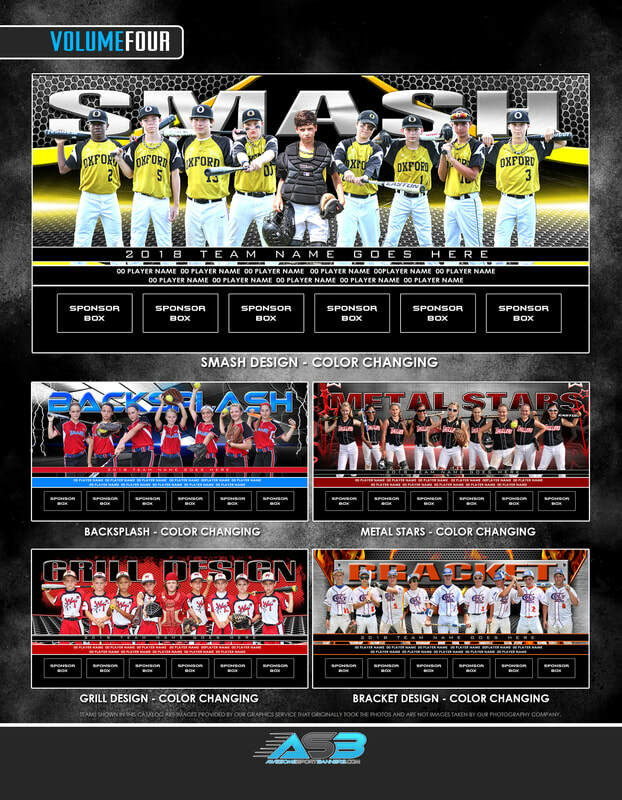 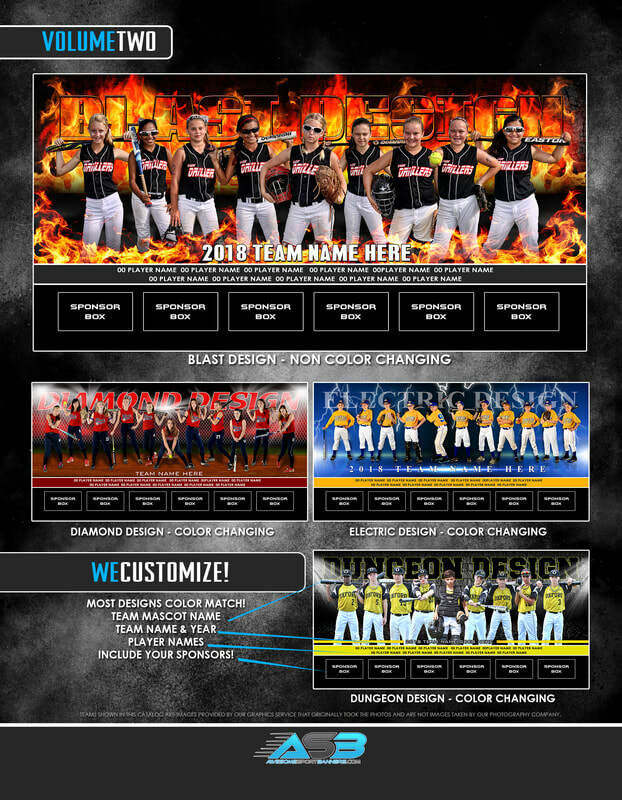 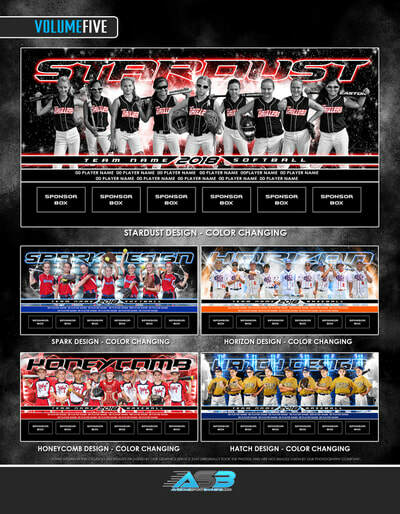 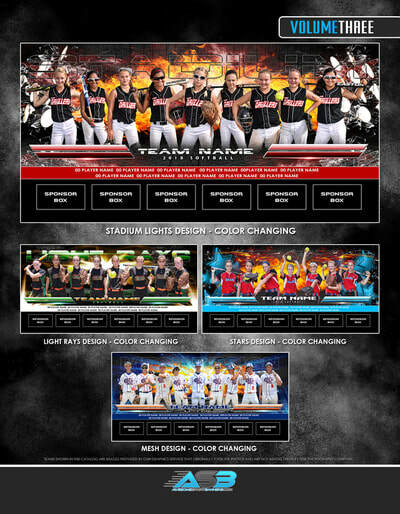 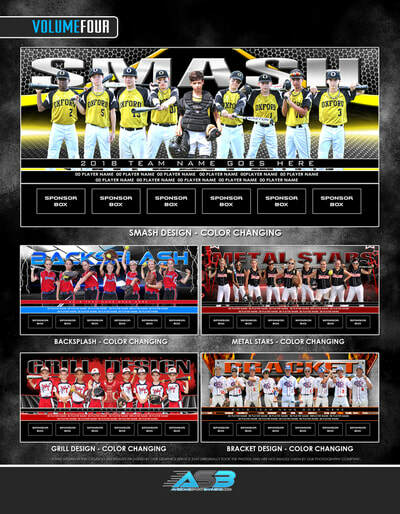 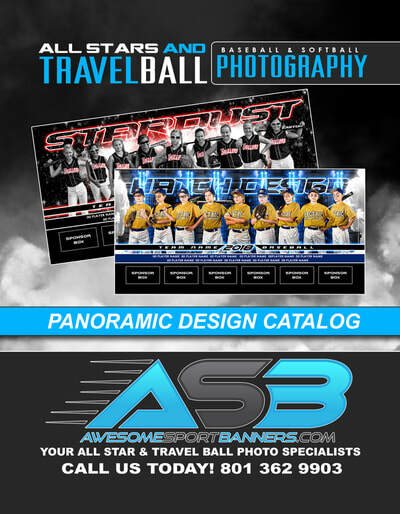 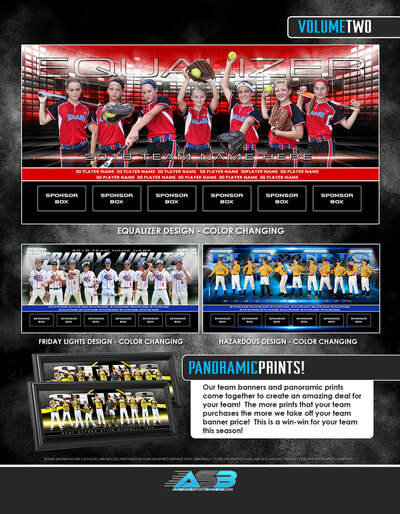 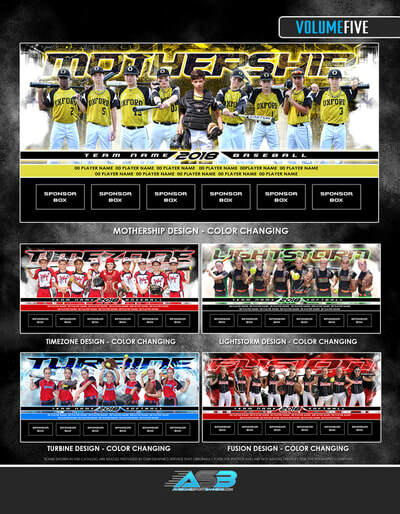 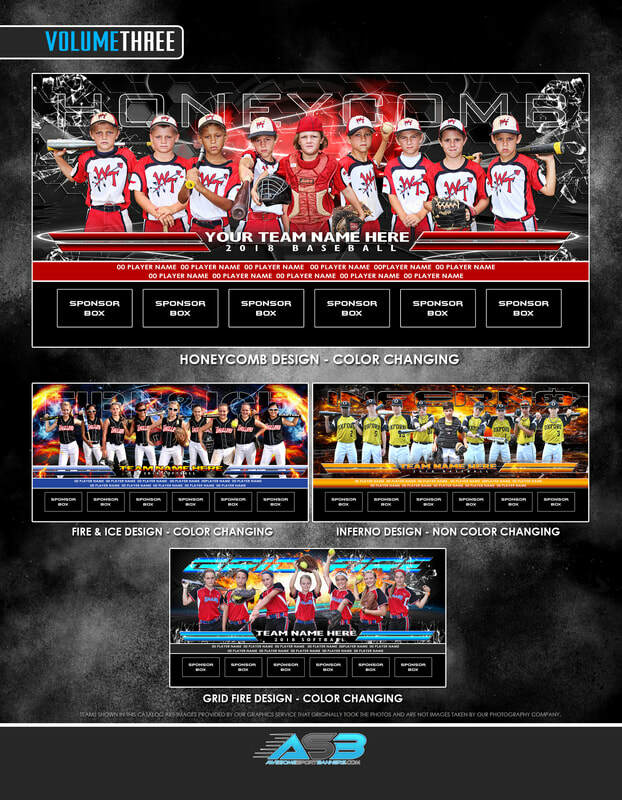 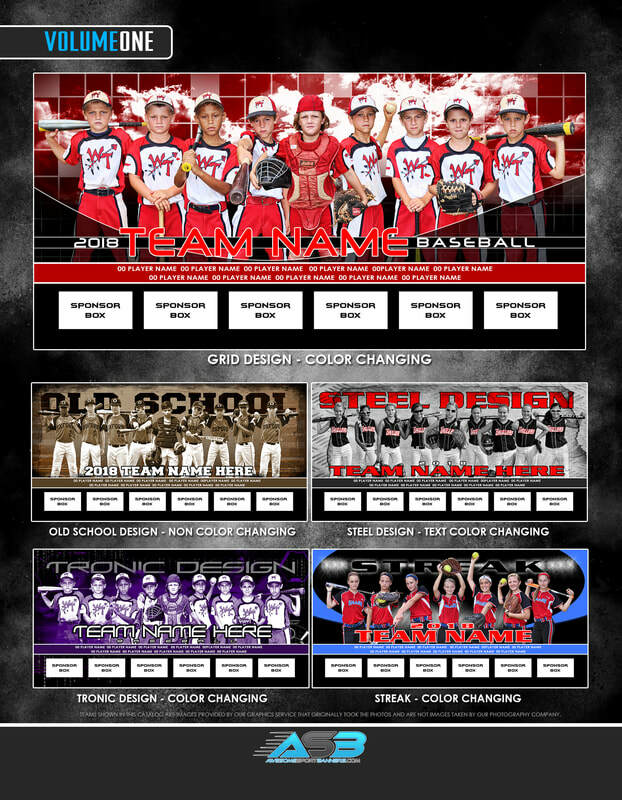 The templates are available in all sports They have been shown here in baseball and softball.